Today, I posted my number 3000 Blog post on the Andy HoboTraveler.com Travel Journal. 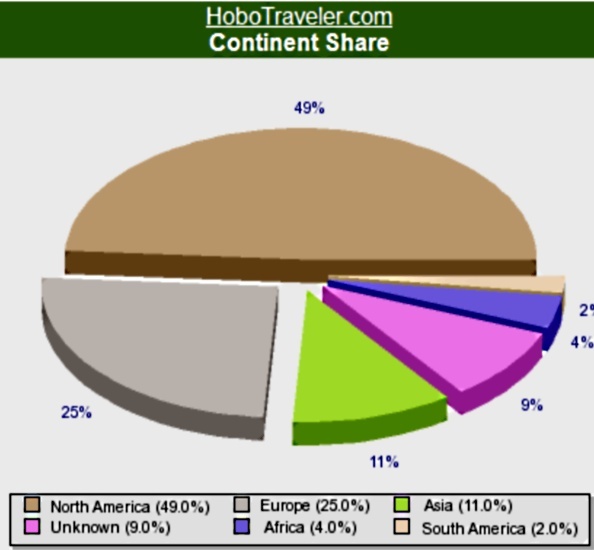 49 per cent of my the daily visitors to the HoboTraveler.com site come from the USA. To me this is nice, it somewhat says, I may really be a citizen of the world, a Hobo without Borders.